In Baby (11x04), Dean wears this shirt when they leave for Oregon and keeps it on until the end of the episode, except when he very briefly wears a suit when leaving the police station. In Beyond the Mat (11x15), Dean wears this shirt at the beginning of the episode while in the Bunker. In All in the Family (11x21), Dean wears this shirt the morning after they arrive back in the Bunker with Chuck, and he and Sam have a conversation about what it’s like having God in the house. In Celebrating the Life of Asa Fox (12x06), Dean wears this shirt to Asa’s wake and until the end of the episode. 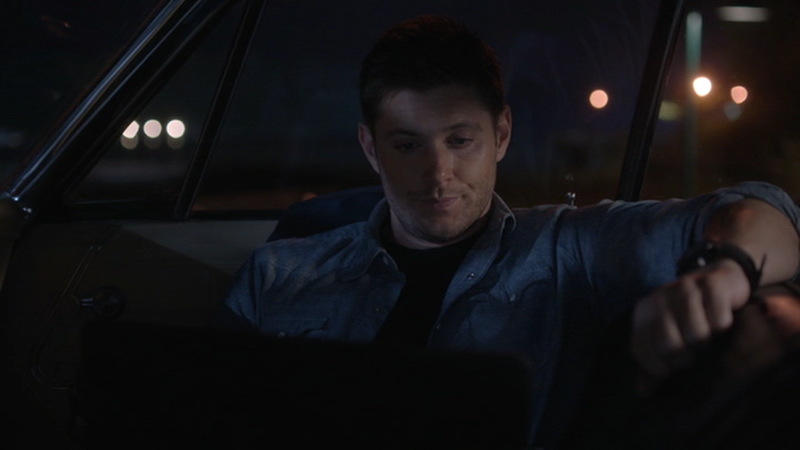 In Ladies Drink Free (12x16), Dean wears this shirt at the beginning of the episode when he and Sam are in the BMoL headquarters, and as they drive to the hunts location, until they check into the motel. 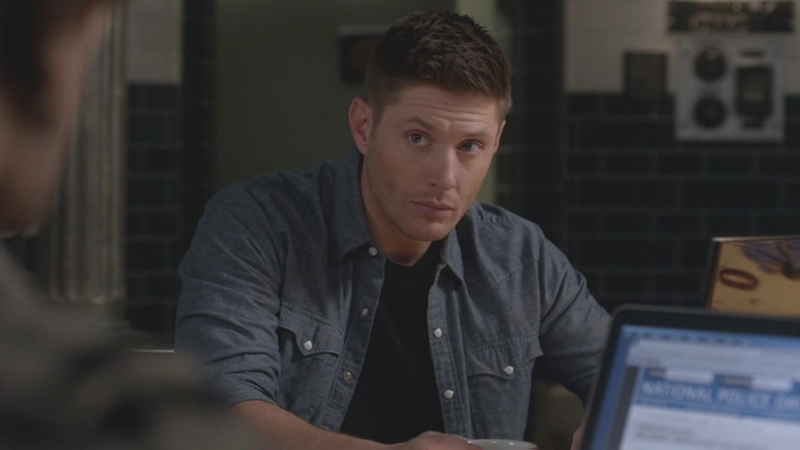 In All Along the Watchtower (12x23), Dean wears this shirt for the entire episode. THIS SHIRT ISN'T DENIM & IT CAN BE BOUGHT RIGHT NOW ON LEVIS WEBSITE! This shirt is a Barstow Western Shirt that is named Blue Recycled Chambray. Currently this shirt is on sale for $24.98 on the Levi's website. These shirts run extremely small so I would recommend ordering 1 or 2 sizes up, but definitely do not buy the size you usually buy cause it will be too small for you & this 100% cotton shirt shrinks a lot even if you don't put it in the dryer. Here is the link for the shirt below. I have various Sam & Dean Winchester clothing in different sizes.